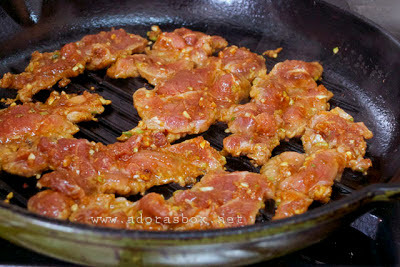 Bulgogi has been listed as the 23rd among World's 50 most delicious foods readers poll compiled by CNN Go in 2011. 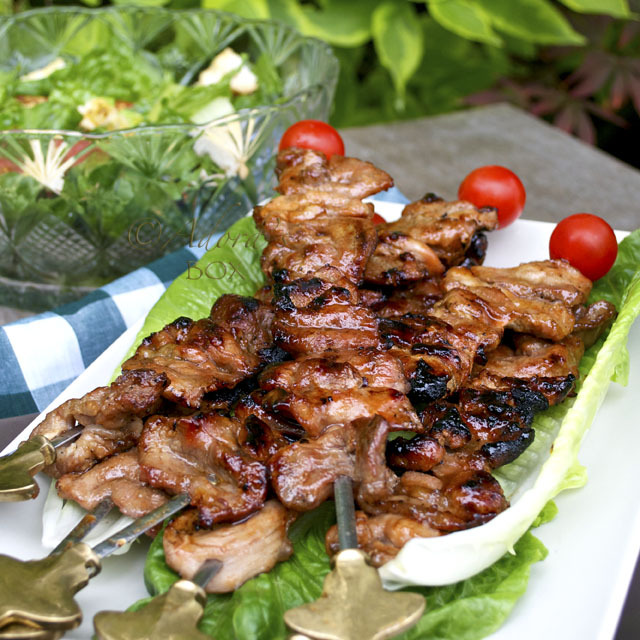 It is usually made with beef but pork or chicken is equally good made with the same recipe. I tend to lean towards pork because pork has a subtle taste that absorbs seasonings well. It is so delicious especially when barbecued. 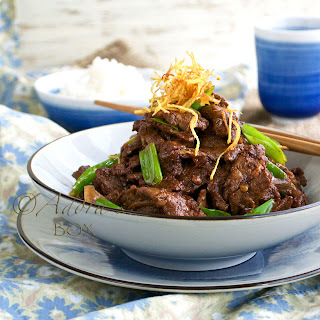 Bulgogi is very Asian in flavour and has the trinity of seasonings: garlic, ginger and spring onions. 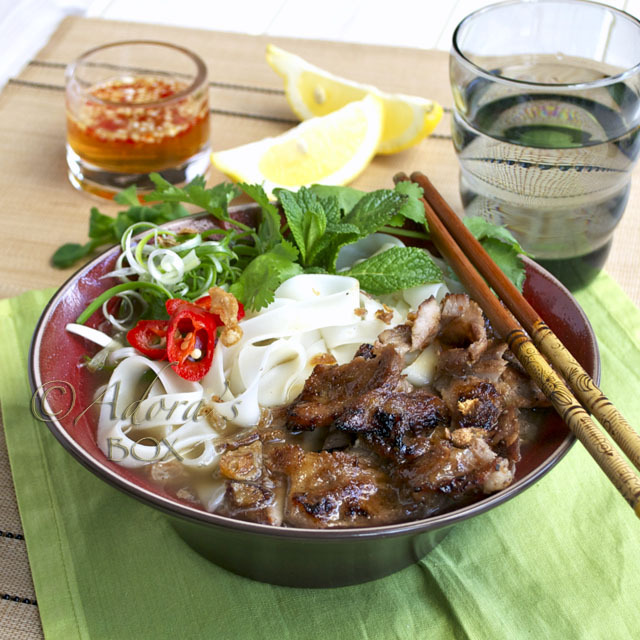 It has a Korean ingredient that gives it spice as well as extra umami: gochujang. It is a chilli paste that is fiery red in colour but is much tamer in taste than it looks. 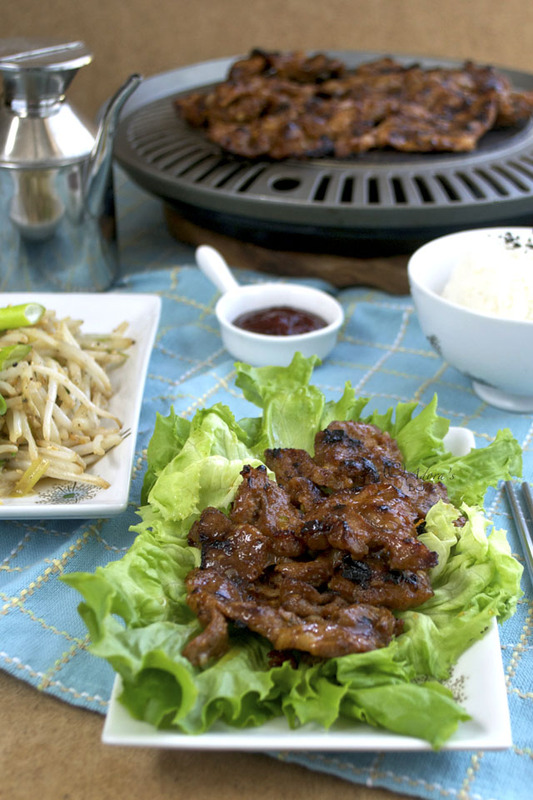 A surprising ingredient in the bulgogi marinade is Asian pear. It tenderizes the meat as well as adds sweetness. I'd say apple or pear will do as it does not add a distinct flavour to the dish. 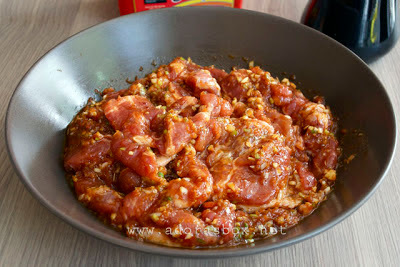 After marinating the meat, a quick grilling is all it takes to cook it. 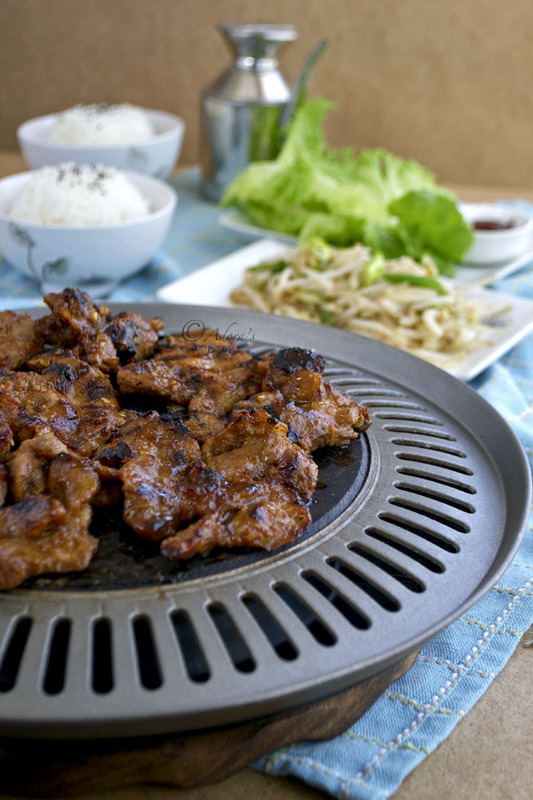 If you want a short cut version, bring out a table top grill and let everyone cook their own bulgogi. Steamed rice and Korean style bean sprouts complete the meal. 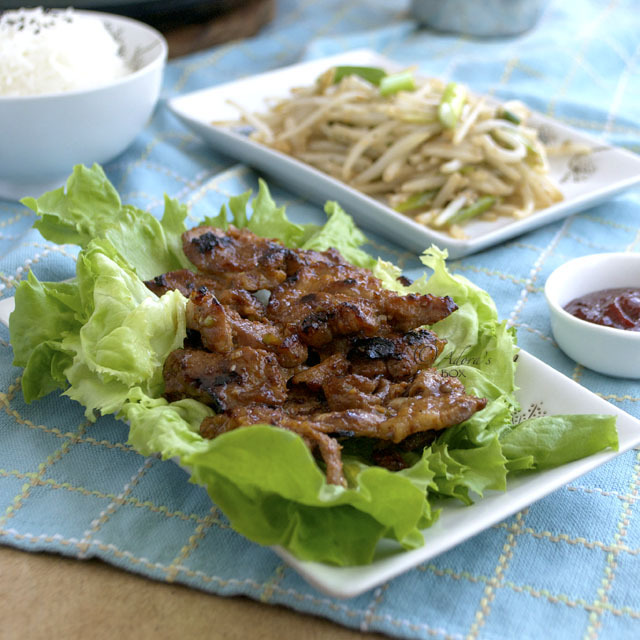 You can also serve lettuce leaves so that the meat can be wrapped, with an extra smear of gochujang before eating. Mix all of the ingredients, except for the pork. Add in the pork slices and mix very well. Leave aside for about half an hour. Heat up a grill pan, grill or barbecue. Grill the pork slices on high heat for about 2 minutes on each side. Serve with rice and Korean style beans sprouts. I love Korean food and your pork bulgogi looking very delicious. It has been so long I have not had Korean bbq. It is time for me to start cooking this at home after looking at yours. Im bookmarking this. I really need to go on a quest and start eating the top rated world's most delicious foods! There are many I have never had, like this bulgogi! Love it! Girl - you're filling up my pinterest boards. :)I want to make everything you post! Keep those yummy recipes coming! I bookmarked this one for sure! Hi Alvin! Yes, this recipe works with other meats,too. This looks so amazing, pork on shopping list as must try this very soon, thanks for sharing.